This beautiful dancing white peacock image was taken at vandalur zoo chennai. Everyone likes to see peacocks. Its a favourite bird , mainly for the kids. 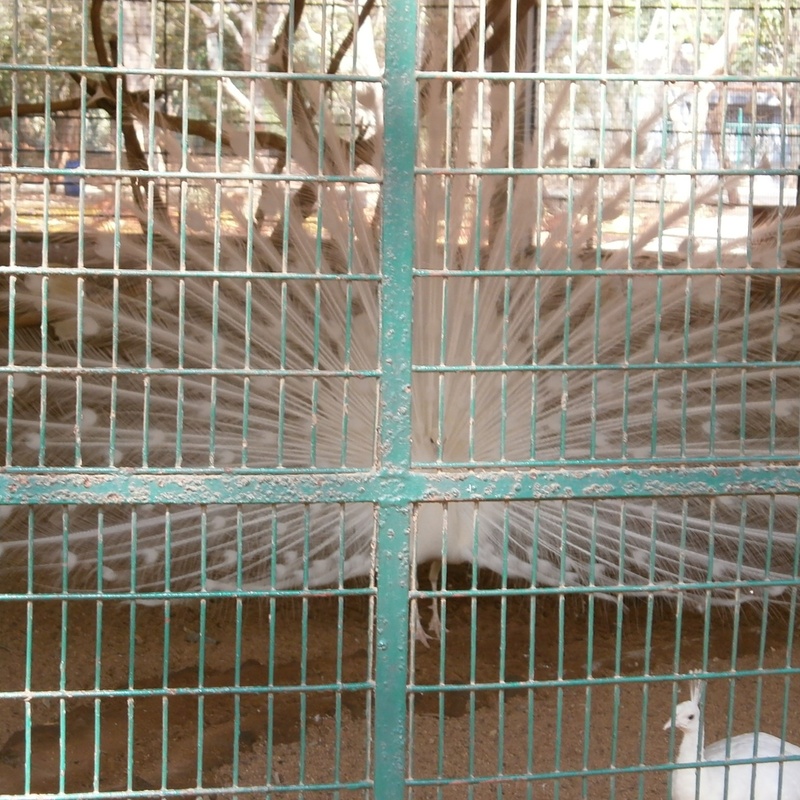 If they get a chance to see the white peacock they will feel happy. In addition if they dance, words aree insufficient to describe. But unfortunately the peacock was in the cage.